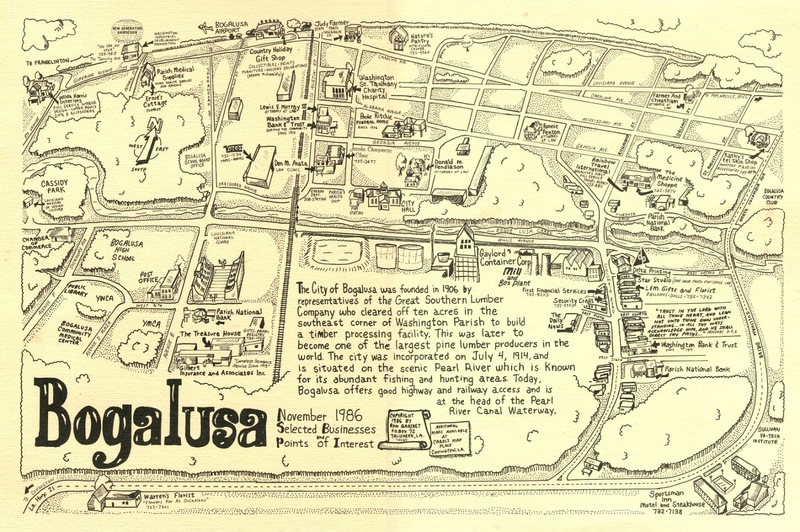 Thirty three years ago, in 1984, I drew a large map of the City of Bogalusa. 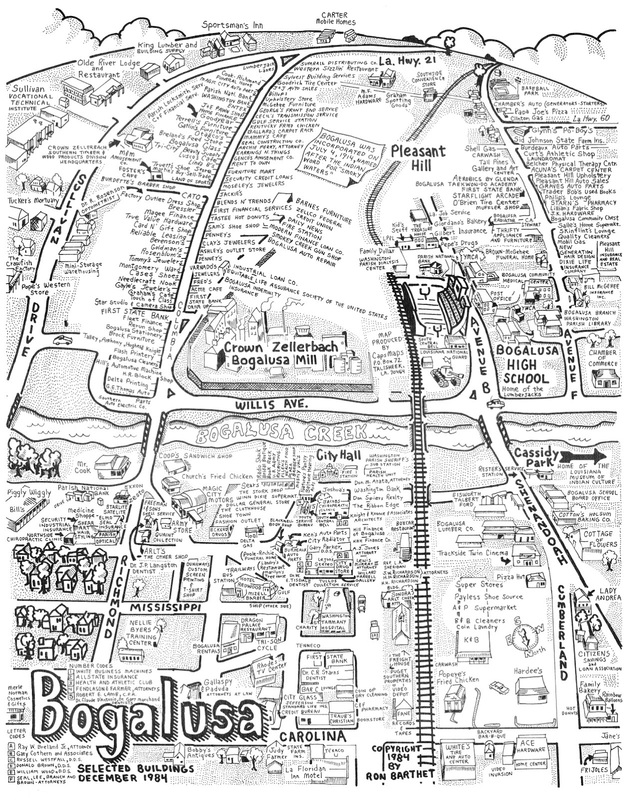 It was one of the first larger pictorial maps I produced, and it listed most, if not all, of the businesses in the community. It was viewed from the north down towards the south. 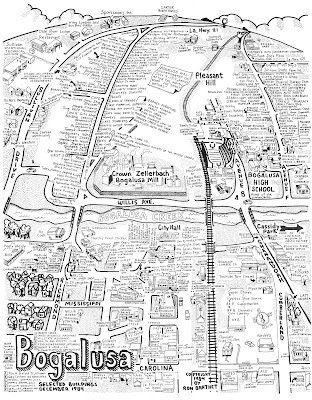 Most maps have north at the top and south at the bottom. It was then I discovered that if it was at all possible, on future maps, north should be at the top of the map. People are more comfortable looking at a map where the top represents north. 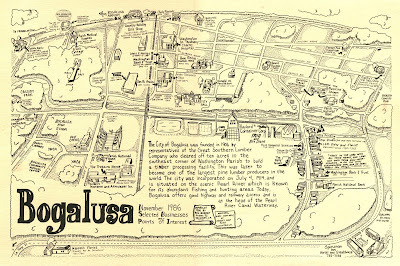 In 1986, I drew another map of Bogalusa, this time with north at the top and in a more convenient size, 11 inches by 17 inches. Copyright 2016 by Ron Barthet. Awesome Inc. theme. Powered by Blogger.